Then contents of this page were compiled with respect to what we have come to understand are areas, products and services that are often of interest to many of our clients, both en route to climbing Kilimanjaro with us, or subsequent to their successful Kilimanjaro ascent. Berghaus - one of our main suppliers of climbing clothing and equipment. Craghoppers - highly recommended robust, lightweight, quick-drying active wear and trekking and safari gear. Look out for trousers with stretch material and articulated knees, and their new range of slim-cut performance fleeces and shell layers. Vango - our main supplier of sleeping tents. Poles are made of aircraft grade aluminium. Premium model tunnel designs are spacious and accessible, and aerodynamic enough to fare quite well through storms on Barafu. Khyam - our main supplier of mess tents. Principal advantages over competitors are the more durable 5,000 mm hydrostatic head fly sheets, and the use of aluminium poles which - unlike most competitor’s poles - don’t snap with low temperatures and high wind speeds. Team Kilimanjaro are circumspect about making recommendations. The following links are therefore provided either because senior members of our team regularly make use of these products and services, or because we have worked closely with the leaders of these organisations and have found their standards and values to be high, or because those who we know to be discerning and to understand our ethos and standards have identified them to us as meriting our close attention. We would ask however, that where a climber has reason to believe that any of the following products and services should rather not be recommended by us, that they please advise us, detailing their reasons. We will then carefully review our decision to continue to feature the product range or service. When on the mountain with Team Kilimanjaro climbers can generally expect excellent cuisine and more than adequate calorific input. The problem is, however, that a) it’s difficult managing to input enough food at mealtimes to sustain yourself on the trek between meals, and b) one of the effects of exposure to altitude is appetite loss, which again, makes it difficult managing to eat as much as one ought to, bearing in mind the intensity of the output expected of climbers. A solution to this problem is Mountain Fuel. 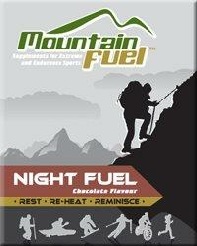 For those considering this nutritional strategy - eating as normal at mealtimes, and drinking energy-rich, slow-release viscous supplements while on-the-go between meals - but who as yet do not have experience of using Mountain Fuel, it is recommended that climbers order a small quantity of this as a trial. If getting on well with these supplements, we would suggest looking to use them during any endurance training, on the build up towards Kilimanjaro, as well as of course during the big event itself. Adventure Beyond offers a useful initiation to hillwalking and expedition training for those who have little or no experience in the hills. While Kilimanjaro climbers are not required to be able to navigate or to move independently in the hills in order to climb with us, nonetheless such courses are a worthwhile and stimulating way of training together as a climbing group or pair, and of enhancing your mountain skills. For those thinking of climbing other mountains before or after Kilimanjaro, where independent movement and navigating technical difficulties will be necessary, AB is also able to teach small groups abseiling and rock-climbing techniques. A friendlier and more personal service than is offered by most competitors in the British Isles. Summit Climb: While the standard routes on Kilimanjaro do not require the use of ropes, crampons, or ice axe, and the ascent requires no specialist training or experience, many se Kilimanjaro as a beautiful and relatively safe introduction to high altitude and may aspire to progress to more technical peaks after Kilimanjaro. For those with such aspirations in mind, it is well worth considering the merits of attending something like a Glacier School, in which you will learn techniques that aim to keep you safe in the mountains, such as self-arrest, ropework, and good front-pointing technique. One excellent option is Summit Climb, who run their training courses in the European Alps, Nepalese Himalayas, and the Rockies. iFly Indoor Skydiving offers an introduction to the world of freefall parachuting. Many adventurers aspire to learn to parachute but will often progress no further than a mildly terrifying tandem parachute jump. iFly provides the opportunity to first obtain aerial confidence and body control in a safe, simulated freefall environment, using vertical wind tunnels in Milton Keynes, Manchester and Basingstoke. One of the principal threats to safety and obstacles to progress in freefall, is a failure to acquire the necessary balance and control that allow the student to manoeuvre proficiently. Mike Carpenter has an incredible wealth of experience, and a corresponding awareness of the many challenges facing both new and experienced students. Total Body Defence is a purely British (or rather, Welsh) style of self-defence that doesn’t require students to convert to another religion or learn to speak Korean. We believe that this no-nonsense style is one of the most relevant martial disciplines taught anywhere worldwide. The style is extremely effective at countering street muggings. Alun Williams is a very relaxed and patient instructor, whose passion and commitment to his art is obvious. Alun leads a small training team of instructors but is himself present at most classes. The team has an excellent ethos that is characterised by humility and gentleness and is entirely free of machoism. Each new student that joins his classes is a tremendously valued source of encouragement to the team, and is instructed from whatever level he or she is presently at. All are made warmly welcome at Alun’s classes and seminars, regardless of whether they have any martial arts experience or otherwise. His classes and seminars are equally valuable to children and beginners, as to experienced fighters. For those unable to attend his classes or seminars but who are interested in studying his technique, an excellent award-winning DVD is available to purchase on Amazon and on his website. Silat Knife Defence Courses: Maul Mornie travels throughout the world disseminating an extremely effective fighting technique that his great-grandfather first developed in Brunei in the early 1900s. Maul offers around ten courses annually in the UK that in our view, are well worth travelling to attend. His seminars are generally around 4 hours in length and of value to all, regardless of past experience. While some of the training overlaps with Alun’s tuition, Maul is arguably the authority worldwide in teaching techniques that specifically deal with close quarter armed attacks, particularly with knives and machetes, firearms, sticks and clubs. Maul is a very personable and good-humoured instructor, and a real pleasure to watch and learn from. Learn Wilderness Survival with Simple Survival: Gary Benton is a retired US Air Force Sergeant and prolific author on the subject of Wilderness Survival. Those with a keen ongoing interest who wish to supplement their Hadzabe bush craft training, or diversify their skill set, are strongly recommended regularly to visit this site for knowledge updated. We find that a great many of our climbers forge lasting friendships with their guides and some members of support staff during the time shared on Kilimanjaro. And while our staff generally consider themselves to be amongst the relatively privileged few in Tanzania who enjoy regular work and good wages, (two of our guides have left teaching careers, and one has rejected a career as a doctor in favour of climbing with us), nonetheless, there is a conspicuous difference in the availability of opportunities enjoyed by our foreign climbers and that of our local staff, and some will want to contribute to closing this gap. To this end, several of our climbers annually will contact us and propose a way of advancing the education (for instance, through tuition in an additional language) or generally developing the opportunities of some of our staff. Others will seek to improve the availability of better clothing and equipment for our staff, as import duties on new equipment are set preclusively high (ie at 50%) by the Tanzanian Revenue Authority so the availability of reliable gear is sparse. To Return - For climbers who have such interests in supporting the futures and working conditions of our staff, we are pleased to recommend the programmes run by ‘To Return’, which concentrate primarily on arranging scholarships and distributing mountain equipment. Tanzania National Parks - the authority responsible for enforcing regulations that apply to the use of Mount Kilimanjaro. Tanzania Tourist Board - useful information, links and directories about tourism services in Tanzania. Mount Kenya National Park - those wanting to climb the three highest mountains in Africa are recommended to climb Kilimanjaro first, then either Mount Kenya or Mount Stanley, so as not to need to deal with the technical difficulties on these slightly lower peaks while battling with acclimatisation issues. Those not interested in summitting Mount Kenya can trek to Point Lenana (4,985m) and obtain good views towards the twin peaks of Nelion (5,188m) and Batian (5,199m). Rwenzori National Park - hosting Mount Stanley, the third highest mountain in Africa. Rwenzori is much more raw than Kilimanjaro and a really authentic wilderness experience. The climb combines remote unspoilt beauty with the joint challenges of altitude and moderately technical alpinism. Crampons and ice axe are required, with pairs climbing and ropes being advisable. A popular destination for those who develop an affection for Africa, that enjoys some of the best of both worlds - developed and wilderness. 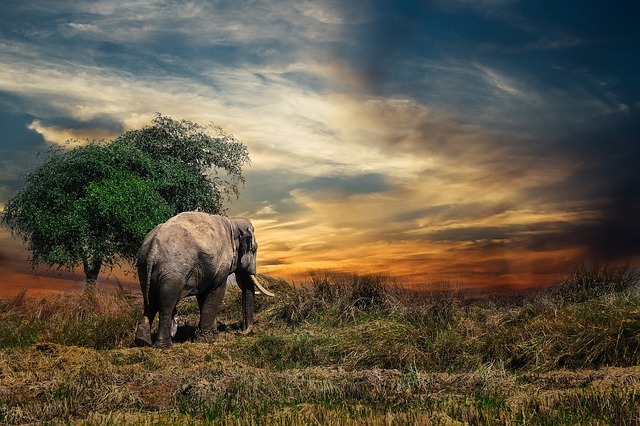 South African National Parks - SAN Parks is one of the world's leading conservation and scientific research bodies and a leading proponent of protecting and maintaining the indigenous natural environment. This website makes a good starting point for those planning to visit the country. This area is commonly used by branding consultants to make television advertisements as operating costs are low and the natural scenery is very beautiful. Those undertaking a second visit to Africa and wanting to see the south of the continent will usually begin and end in Cape Town. Alternatively, those approaching Africa from either Australia or the United States will often have their airline connections routed through South Africa, and may wish to factor in a little extra time, using Cape Town as a base. Cape Paradise Lodge -Those wanting to spend at least three nights within very close proximity to the centre of Cape Town, and enjoying good access to The Waterfront, city centre and beaches, can find a very good standard of affordable accommodation at Cape Paradise Lodge and Apartments. The properties are equipped with en suite bedrooms, breakfast area with sun deck, a lush garden and inviting pool. An excellent combination of relaxation, beauty and access. Themika - An incredibly beautiful and yet conveniently situated wine farm to spend a relaxing and inspiring weekend, within just an hour’s reach of Cape Town. Themika is available on weekends only, on exclusive group booking basis and can accommodate up to 22 guests. Arguably the best value rustic accommodation for large groups staying in Tulbagh. Available to book online. These personalised safaris in Zambia afford rare opportunities to get up close and personal with the wildlife of Africa. Such is the viewing quality of Shenton’s hides that they are used regularly by the BBC, National Geographic, and the Discovery Channel. Safari holidays with Shenton Safaris are a thoroughly enjoyable and insightful way to explore Southern Africa. Namibia is very much an under-discovered country, in our view. Fast becoming the obvious African venue for extreme sports, Namibia is the photographer’s and nature lover’s idyll, with wide unspoilt vistas and sweeping landscapes that range from arid deserts to dramatic canyons. We recommend Namibia Safari Tour as your information portal when planning on travelling to Namibia. A very common misunderstanding amongst our climbers and safari-goers is that Lake Victoria (Tanzania) is close to the Victoria Falls, which are in Zimbabwe! Consequently, we are often asked if we can assist climbers with safaris or excursions that extend to The Victoria Falls. While we do have first hand experience of The Falls, we do not ourselves arrange such trips as the location is actually some 1,996km (as the eagle flies) from our base in Tanzania. Those wishing to transit to Victoria Falls to see the incredibly majestic waterfall, and the largest sheet of falling water in the world, are instead recommended to get in touch with Kangamani Tours, who will be delighted to assist with houseboat tours, tiger fishing, fishing trips, and a great deal more. Nepal Trekking: Those who have climbed their first mountain will usually soon discover that the desire, or perhaps ‘need’, to return to altitude, can become a kind of addiction. Ordinarily, a few days after climbing Kilimanjaro, climbers resolve that they will never do anything so difficult or uncomfortable as undergoing those last 6-8 hours to Kilimanjaro’s summit. By around a fortnight after summitting, however, the pain is forgotten and the prospect of entertaining another expedition is usually already a reality. 6 months after Kilimanjaro is is not unusual for those with the time and the means to want to start planning their next climb. It is with these climbers in mind that we wish to encourage consideration of the Everest region and the trekking peaks of the Himalayas as a possible future expedition venue. While we are yet to enjoy first hand experience with these operators, to date our indirect contact with them has been favourable and we would encourage that climbers consider approaching them and making up their own minds; preferably feeding back to us with a view to continued recommendations that will benefit future TK veterans. Nepal Trekking offers family adventure tours, nature and cultural tours in Nepal; as well as climbs on Nepal’s ‘trekking peaks’, mountain biking, wildlife tours, white water rafting and overland tours. Koh Samui - Thailand: Those who enjoyed Zanzibar’s warm waters, clean beaches, and exoticness are who are wanting to venture further east (or go west, in the case of our American friends) are invited to consider Koh Samui, a place where one can enjoy virginal trekking routes, and almost private unspoilt beaches. When comparing room prices, a handy rule of thumb to get the Dollar rate is to move the decimal place left one space and divide by three. It’s also a good idea to look for special deals as these generally occur when you’re likely to have more of the place to yourself. If doing this, though, it’s worth checking what the weather’s going to be like at this time, as Thailand needs quite a lot of rain to maintain its awesome jungle vegetation, and grey skies can make for disappointing photos! Flights to Koh Samui are quite long, and cost around USD 2,000 from LAX so it’s probably worth considering a stay of at least a week. Haute Randonnée Pyrénéenne: while the French Alps are an excellent training feature for climbers preparing for a technical summit, or who wish to acquire alpine skills on rock, snow and ice, the Pyrenees offer phenomenal training topography for the mountain trekker. Designed in 1968 by Georges Véron, the Haute Randonnée Pyrénéenne - or High Route of the Pyrenees - covers some 800km (500 miles) and generally takes between 4 and 7 weeks to complete, with the fastest published time being some 23 days. Gites with access to Pyrenees and Mediterranean: Where large families don’t all share precisely the same interests, an excellent option that keeps everyone happy are Tony Mole’s beautifully renovated traditional-styled gites. Situated in the beautiful Corbieres hills, they offer 30 minute access to the Mediterranean and an infinite combinate of trails that serve as an excellent training feature for more ambitious ventures such as, perhaps, Kilimanjaro! North Cyprus Holidays: When cycling solo from Geneva to Jerusalem in August 1998, our director discovered Northern Cyprus and found it be a charming place, an excellent training location with almost guaranteed good weather for most of the year, and an extremely cheap place to spend some time. This link takes you to a beautiful, family-run venue where weekly accommodation rates are roughly what one usually pays per night! Tourist Click: A very helpful resource for travellers who are at the very early phase of planning and wish to have access to a well-populated directory of travel organisers throughout the world. Travel Tourism Directory: A very useful resource, again for the traveller at the very earliest planning stages. This site has a useful categorisation that allows travellers to consider a particular genre of travel experiences before having to decide where exactly in the world they ought to go. Alpinisme: An excellent directory for those wanting to develop their alpine skills, consider different climb options worldwide, and plan and equip their expedition. Their brands directory is a particular useful facility that groups together most of the best manufacturers in one readily accessible location. Thinking of a Tanzania safari?